Little glory, lotsa guts. While high-paid anchors read the news, they go out and get it. 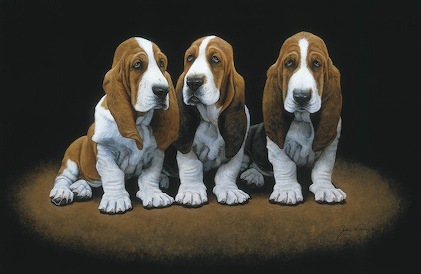 We're talking about the trusty Basset hounds of D-FW television, those durable sniffers whose beats are the streets. Some have spent more than two decades as dogged general assignment reporters. It's time to throw them a bone and salute their longevity, resolve and resilience. It's also a way of saying goodbye to CBS11 reporter Mary Stewart, who's leaving the station on July 20th after 21 years on the local news scene. Here are some of the standout fellow stalwarts she's leaving behind. The few, the proud, the unbowed. 10. 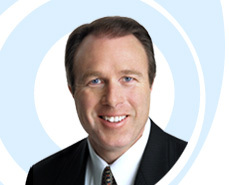 Steve Stoler (Belo8) -- Time in the pound: 22 years (17 at Fox4 and five with his current station). His many travels have taken him to both the "Baby Jessica" well rescue in Midland and the prolonged Branch Davidian standoff in Waco. He currently patrols Collin County, which is better for it. 9. Steve Pickett (CBS11) -- Time in the pound: Eleven years at his current station. His website bio says he's a journalist because "I believe I can fairly and effectively tell the stories of our time." That he can, time and time again. 8. 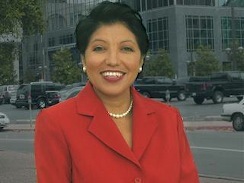 Stephanie Lucero (CBS11) -- Time in the pound: 23 years (13 at Fox4 and the last 10 at her current station). She's also been on the scene for both "Baby Jessica" and the Branch Davidian crisis. Currently having to ramp it up and emote a bit more than she'd like as a regular contributor to CBS11's newly "urgent" 10 p.m. newscasts. Oftentimes you just have to hang in there. 7. Fil Alvarado (Fox4) -- Time in the pound: 22 years at his current station. Salt-of-the-earth news chaser who was raised on his grandfather's farm in the Texas panhandle. Here's an excerpt from his station bio: "If we didn't earn enough doing chores, my friends and I would go to the local newspaper office, buy a stack of papers wholesale and sell them up and down Main Street. We'd split the profits, go to the drugstore for a milkshake and dash across the street in time to catch a movie." This is the kind of guy you want to tell your story. Sturdy, dependable, real. 6. Jeff Crilley (Fox4) -- Time in the pound: 15 years at his current station. He used to do light features. Now, more often than not, he's the leadoff hitter on Fox4's 9 and 10 p.m. newscasts. Understated style sometimes verges on a whisper and, yes, he'd be better off finally doffing that pelt atop his head and doing a Scott Gordon. Bottom line, though: this is one helluva thorough and concise storyteller. And he invariably gets tidbits that his competitors keep missing. 5. Scott Gordon (NBC5) -- Time in the pound: Thirteen years at his current station. The veteran "Night Ranger" used to prowl the D-FW dark with former NBC5 colleagues Jay Gray and Clif Caldwell (now anchoring and reporting at CBS11). Still standing, regularly in front of yellow police tape, he does the late night dirty work of a beat reporter while also breaking stories such as the recent peanut butter recall and those pot-smoking toddlers. A good guy to have on your side. And with "Mistress of the Dark" Susan Risdon now gone, he'll be NBC5's undisputed go-to guy. 4. Rebecca Aguilar (Fox4) -- Time in the pound: 13 years at her current station. She was raised in Ohio, where her dad was a union organizer and her mother picked vegetables. Ample time in Mexico with her grandparents also made her fluent in Spanish. Those are great assets to have in D-FW, where there's no shortage of people who need people like her. Aggressive and compassionate, she's a rock-solid reporter with a built-in empathy for underdogs. 3. 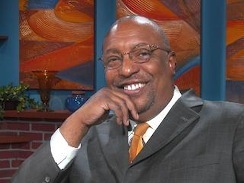 Shaun Rabb (Fox4) -- Time in the pound: 16 years at his current station. Raised in San Antonio, he's steeped in basic values. More than a little showy for starters, he's matured into a sure, steady reporter whose stories cut to the nub. Here's an illustrative passage from his station bio: "I absolutely love what I do for a living. I talk to high school students a lot and tell them that I make a movie everyday. Writing, directing and producing . . . the huge responsibility is this is not fiction, but rather about people and their lives. These are our neighbors, even if they are strangers. We are all community." Well said. And be assured he actually means it. 2. 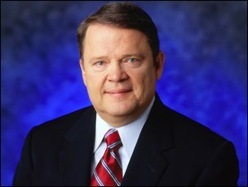 Jim Douglas (Belo8) -- Time in the pound: 22 years (10 years at NBC5 and 12 at his current station). He can do long-form enterprise pieces, short-form spot reporting and anything in between. Knows North Texas through and through, but also has reported from abroad and numerous other stateside venues. Send him out and he'll never just mail it in. A thoroughly professional correspondent who takes pride in his work and never comes back empty. 1. Bud Gillett (CBS11) -- Time in the pound: 26 years (20 at Fox4 and six at his current station). The CBS network has Survivor and CBS11 has Bud Gillett. A quintessential shoe leather reporter, he's endured the bumps and grinds of D-FW television longer than any other general assignment correspondent. Just give him the ball and he'll carry it wherever and whenever asked. He's been there, done that, but is still doing what it takes. So after literally thousands of stories in the bank, this Bud's for you.